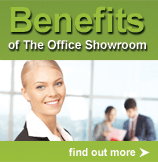 The Office Showroom has recently expanded to become an unrivalled, one-stop solution for office workspace requirements. * The most comprehensive online and offline product catalogue. * 22,000 sq ft showroom, just outside London with parking. * Availability of many lines in stock. * Fast delivery and installation times. 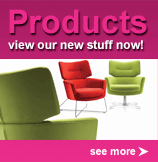 * Leading contract and exclusive executive designer ranges. * Full office interior design and project management service. Operating from state-of-the-art 22,000 sq ft showroom in High Wycombe, in the Thames Valley, to the North of London, The Office Showroom have worked with some of the largest blue-chip companies in the country, as well as home-based and small to medium sized businesses. Unlike many office furniture suppliers in the market today, we are committed to finding you office furniture that is superior in quality and design, yet is practical and durable, with a one to five years’guarantee. As well as our meticulous attention-to-detail, at The Office Showroom we understand that a successful working environment is dependent upon successful space management, the consideration of practical requirements and the ability to complete a project on time, to budget and the fulfilment of any design or architectural contraints. Our enterprising and experienced professionals can oversee all aspects of your office interior design or refurbishment, providing advice, visual interpretation of ideas, site surveys and a complete project implementation and management service. This can include suspended ceilings, office security and telecommunications, office partitioning, painting and decorating, audio visual installation, racking, shelving and storage walls, as well as bespoke funiture and office accessories.